Our business has been serving Houston, Deer Park, Pasadena, La Porte, South Houston, Clear Lake, Crosby, Pearland, Friendswood, Webster, Baytown, Nassau Bay, Seabrook, League City, Jacinto City, Channelview, Galena Park, Humble, Barrett, Highlands, Huffman, Manvel, Alvin, Dickinson, Bacliff, Kemah, Taylor Lake Village, Texas City, Bellaire, and Missouri City for many years. We take special pride in providing excellent customer service to our clients with the utmost detail and care. Your pool and spa needs are unique, and we can develop a solution that fits your particular needs. Whether you are looking to clean, service, remodel, repair, or perform some upgrades on your pool or spa, rest assured that Innovative Pools has the right portfolio of products, services and the necessary know-how to address all of your swimming pool related concerns. Our employees are friendly, reliable,, and respect your privacy with utmost discretion. All our work comes with a satisfaction guarantee. We do what is right for your pool or spa, so that all you have to do is relax and enjoy. 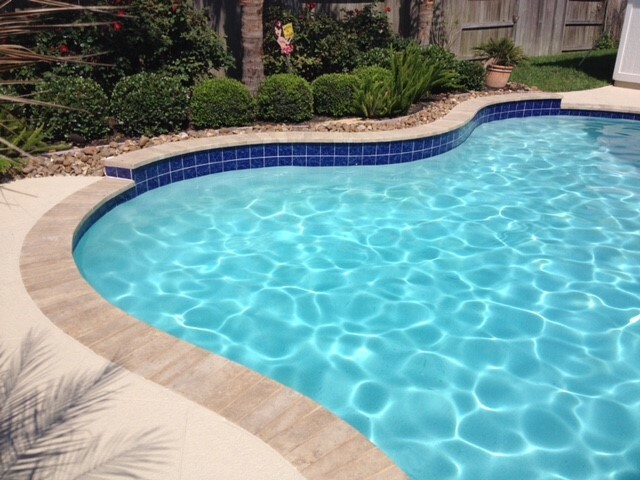 Whether you are looking to clean, service, remodel or repair your swimming pool, give us a call at 281-435-9231 for guaranteed service and quality workmanship at a reasonable price.